So much for the mourning music. Tangled, humming a song for nothing. A flat belly, the starkest edge of nowhere. Holding on to the last threads of her dwindling body. Her song of the Virgin and Jesus, her religion. like an unborn baby, infinitely dark. The hem of her coat, the patchworks of her skirt. Like the night’s rain, a bolted window, hastening. flames of hungry fire, rekindled. Madness is the mortal gift I present myself today. Of manly praises for a loving, sane woman. 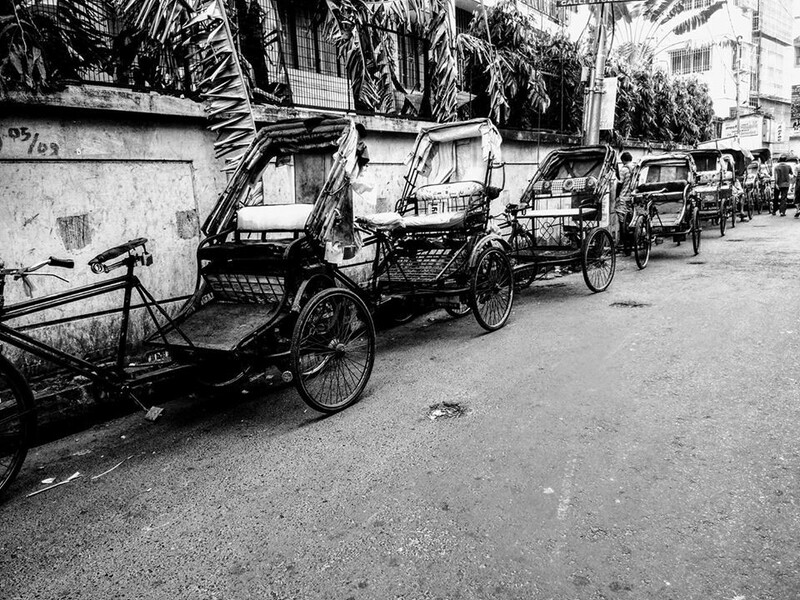 Note: Inspired by a beautiful photograph of the Kolkata lanes and the rickshaws, old, hand-pulled vehicles still rampant in the city, taken by my friend Aditi Bandyopadhyay, a doctor, Orissi danseuse and an advocate for the cause of Autism. 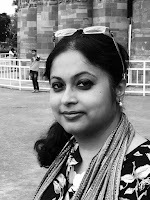 Of some terminally ill, fugitive words. Of a child woman's first mad bursts of a forbidden, whirlwind romance? Only to be enmeshed in the remembered wind? Only to return, at the edge of a teary surrender?